On Thursday night at Strathmore, Lintu led a beautifully balanced, often seething, crisply defined performance of this most popular of Sibelius's symphonies. The tempos were kept moving forward, with a percolating Allegretto first movement, a unified slow movement over an urgent walking bass line, a breathless third movement. The BSO sounded at its best, with luscious string sound, all moving as one, gently colored woodwinds, exalted brass crowning the climaxes. The only slight trouble was with the ensemble staying together at the start of the Vivacissimo, which Lintu took mercilessly fast, but once it came together, it really burned and the trio of pastoral woodwinds breathed and sighed. The piece's conflict, between contrasting themes and characters, comes to a head in the transition into the finale, with one of the most recognizable melodies Sibelius ever penned. 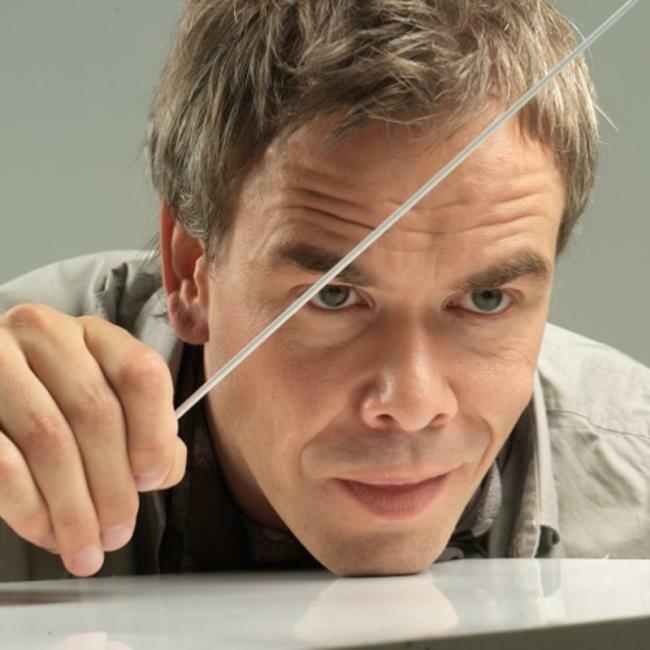 Lintu and the BSO musicians came together to give this drama an exciting edge. Lintu's demanding, even relentless tempi gave the opening work, Tchaikovsky's dramatic tone poem Francesca da Rimini (op. 32, last heard from the NSO in 2012), the sense of urgency behind Dante's journey into hell. Wailing voices clamored in fugal entrances, chromatically odd harmonies wavered ambiguously, the filthy whirlwind of the second circle billowed and buffeted its bird-like souls. The tragic monologue of Francesca, the murdered adulteress, was given poignant rubato but not allowed to wallow, beginning in the warm clarinet solo. The piece was ingeniously paired with Liszt's second piano concerto, which also plays with thematic transformation over the course of a long single movement. As soloist, pianist Stephen Hough (last heard with the NSO in 2012 and 2008, and with the BSO in 2009) embraced his inner trashy showman, applying a symphonic force to the big parts in the keyboard and relishing the torrents of chromatic scales and zinging glissandi, if perhaps never quite achieving a melting legato in the more rhapsodic parts. Lintu was with him every step of the way, lashing the march section forward and giving the orchestra its head in the big tutti moments. There are a few sketchily orchestrated pitfalls in this concerto, which cause havoc as high-placed woodwinds try to tune with the treble range of the piano, but the BSO's playing was top-notch, particularly the ardent cello solo from principal player Dariusz Skoraczewski. This concerts repeats this evening (February 9, 8 pm), at Meyerhoff Symphony Hall in Baltimore. I was there last night. Were you? Ha -- thanks for that. As emended, I heard the program at Strathmore on Thursday.